Why won’t your radiator heat up? It may need bleeding. This is another little job which you may not even have heard of or know needs doing. If you radiator is hot at the top and cold at the bottom when your central heating is on then there is air in it and it needs bleeding. To do this turn your central heating off first. Then you need to use a radiator key or flat blade screwdriver to loosen the valve in the side of radiator (at the top). There will be a hissing sound and when all of the air has been released water will start to leak out (This will probably be dirty water). Have a cloth to absorb any dripping water. Tighten the valve back up to close the opening back up. Once you have done this, if you have a combi boiler you need to check the pressure on your boiler. If the pressure is low, you need to top it back up with water. Your boiler will have a low pressure switch and if it is not topped up with water it will go off. Congratulations! You can now bleed radiators. 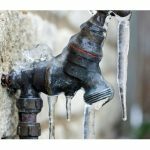 Previous Post How To: Deal With Frozen Pipes Next Post Why choose a MagnaClean heating system filter?